Having written about the business and technology in and around the fast developing world of F1 for quite a while, I realise how important it is to make sure you’re on top of the talent you must have in your ranks just to stand still. This is why I’ve been a keen supporter of the ‘trades’ as well as the current and emerging generations of engineers working their way (perhaps unwittingly) into the sport – these days to F1 and Formula E.
This has been particularly noticeable not just from my time writing for a wide range of specialist and national publications, including the odd book, but also editing AV Magazine (mainly F1) and Electronics Weekly especially with Formula E, as its BrightSparks programme (with the support of RS Components) encourages interest in electronics/engineering from schools and universities. The diversity of some of the brightest people I’ve had the pleasure to be associated with has filled me with huge optimism for the future occurring, as it does, alongside (but not dominated by) the doom and gloom surrounding all the chat about Brexit from a very Westminster-centric angle. Don’t be fooled. The future for F1, from an engineering perspective at least, looks very promising indeed. The company will conclude its participation in the Deutsche Tourenwagen Masters (DTM) touring car series at the end of 2018 and enter Formula E for the 2019/20 season (5). Since the DTM was founded in 1988, there have been 26 racing seasons during which Mercedes-Benz has won 10 drivers’, 13 team and six manufacturer titles (DTM + ITC – International Touring Car championship – combined). Electric mobility is already of strategic importance to the company and this will only increase. Formula E offers a perfect platform on which to demonstrate the competitiveness of MB’s technology brand EQ in a racing environment, in the area of battery electric powertrains. (EQ stands for ‘electric intelligence’). Says Toto Wolff: “In motorsport like in every other area, we want to be the benchmark in the premium segment and to explore innovative new projects. The combination of Formula 1 and Formula E delivers that. “Formula E is like an exciting start-up venture: it offers a brand new format, combining racing with a strong event character, in order to promote current and future technologies. Electrification is happening in the road car world and Formula E offers manufacturers an interesting platform to bring this technology to a new audience – and to do so with a completely new kind of racing, different to any other series. Williams Advanced Engineering has received the Consultancy of the Year award at the 2016 British Engineering Excellence Awards. Sponsored by the Institution of Mechanical Engineers, Consultancy of the Year is awarded to an organisation demonstrating innovative and timely solutions to engineering problems posed to them by their customers. 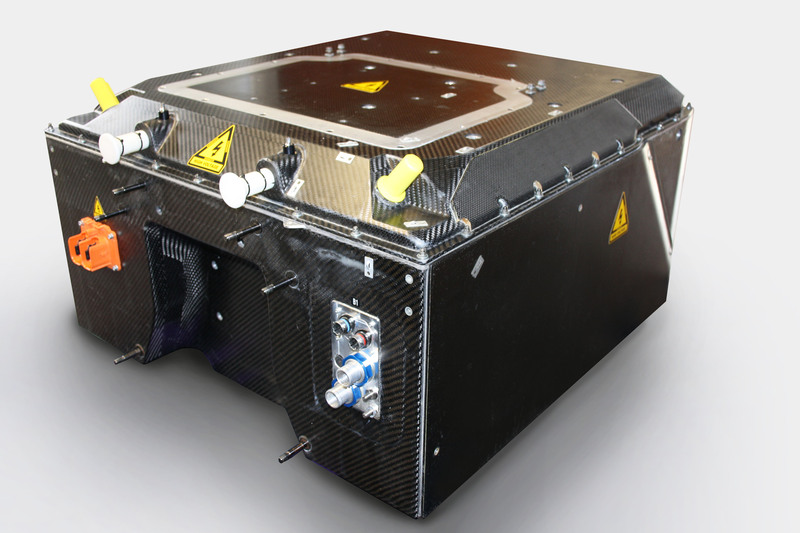 WAE has delivered on a number of high profile projects over the past 12 months, including supplying the batteries to the Formula E racing series, creating the Jaguar C-X75 hypercar for the Bond film SPECTRE, and developing the fully electric Aston Martin RapidE and Nissan BladeGlider concept cars. What’s more, the company has seen its Formula One-inspired technologies and know-how introduced into a growing range of sectors such as automotive, motorsport, energy, defence, and healthcare. It’s healthy, and only right we acknowledge engineering excellence. Many congratulations to the whole team. I hear that Mercedes-Benz Grand Prix Ltd (MGP) and Formula E Operations Ltd have signed an agreement by which Mercedes takes an option to enter the FIA Formula E Championship in Season 5. According to the option agreement, Mercedes may choose to be one of the maximum of 12 entries to be proposed by the Championship Promoter to the FIA to enter the 2018-19 Formula E Championship. Alejandro Agag (Formula E’s chief exec) said: “We are delighted to confirm that we have reserved one of our two new entries in Season 5 for MGP. Formula E wants to become the platform where car manufacturers test and develop the technologies that they will then introduce on their road cars. Having the chance to include in the future a brand like Mercedes our Championship would be a major boost to achieve that objective. And Toto Wolff: “We have been watching the growth of Formula E with great interest. At the current time, we are looking at all the options available in the future of motor racing, and we are very pleased with an agreement that secures us an opportunity to enter the series in Season 5. With Buemi’s car stopped on track, the team opted to pit his team mate Nicolas Prost as this point, as he had also been suffering with his car cutting out. The early pitstop ensured the Frenchman took over the lead after the mid-race car swaps took place, but as he had to make his energy last for longer than his rivals, combined with his car troubles he was unable to prevent the trailing pack from passing him. Di Grassi took over in second following the pitstop phase, but only because Dragon Racing’s Loic Duval suffered an over-long stop. The Frenchman had briefly held the lead following Buemi’s troubles, but was now behind not only di Grassi but the Team Aguri car of Antonio Felix da Costa too. After one of the most eventful races in Formula E’s short history, the teams and drivers now have a well-earned break before the series resumes in the amazing beachside setting of Punta del Este on 19 December.